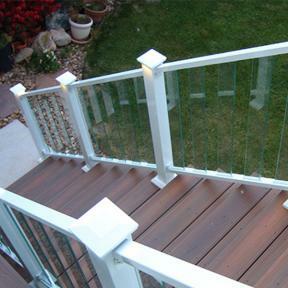 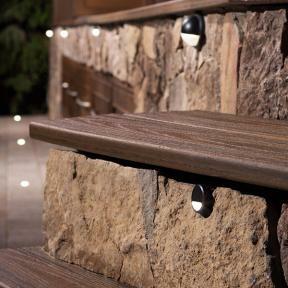 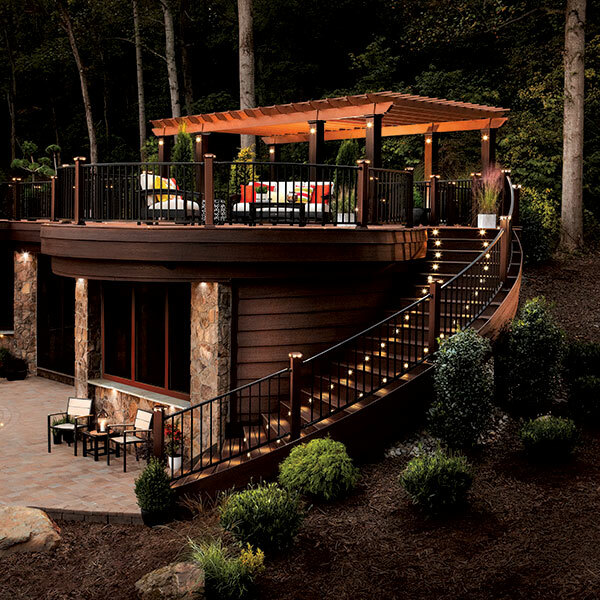 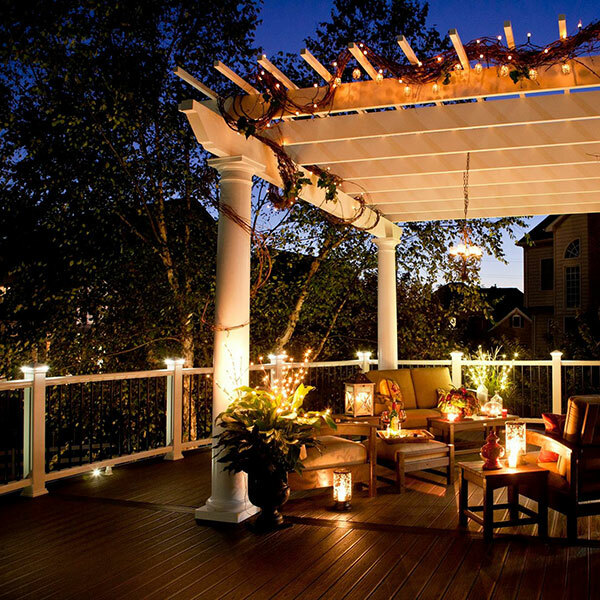 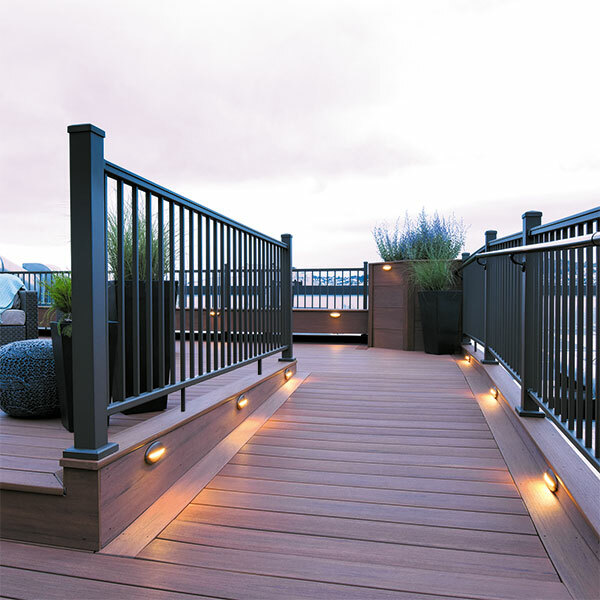 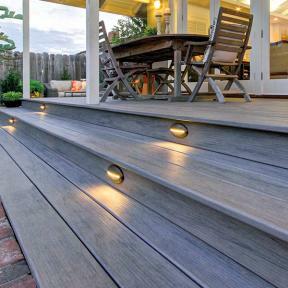 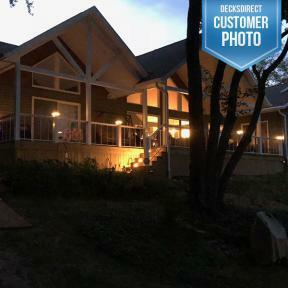 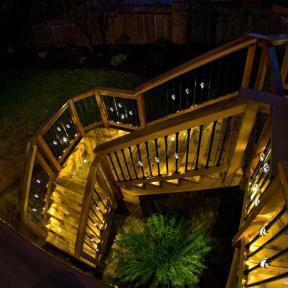 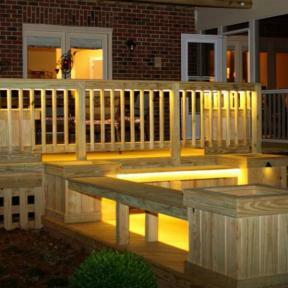 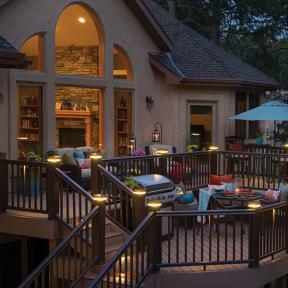 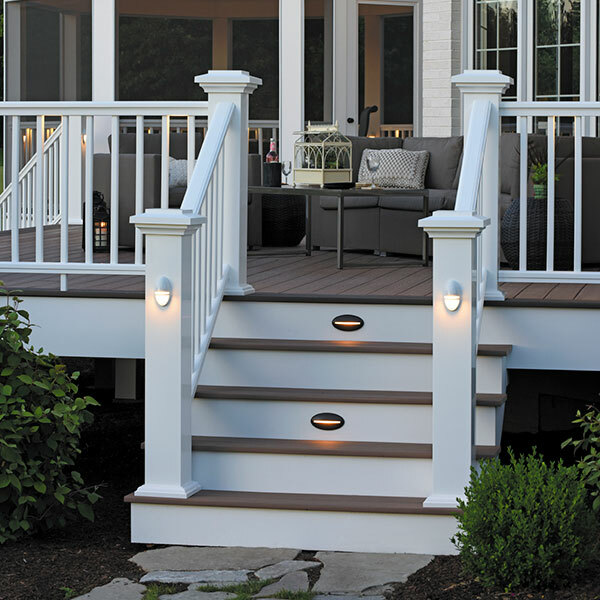 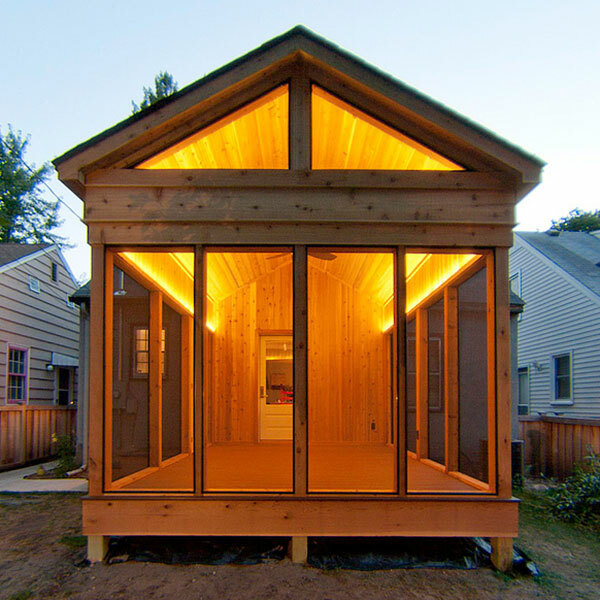 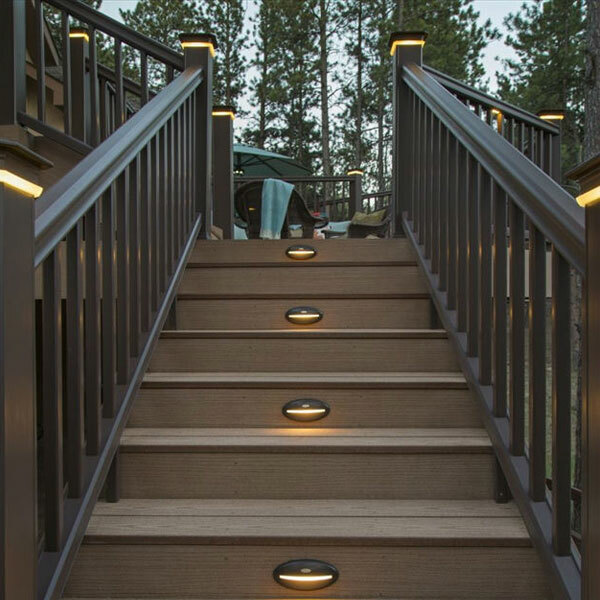 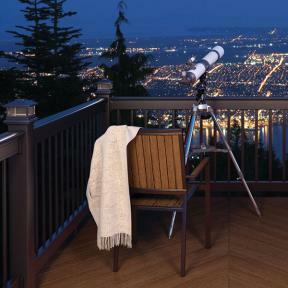 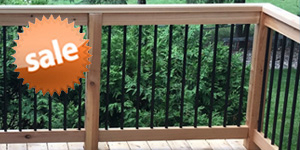 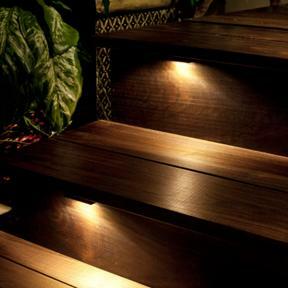 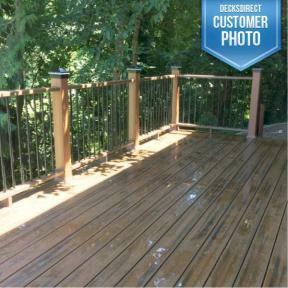 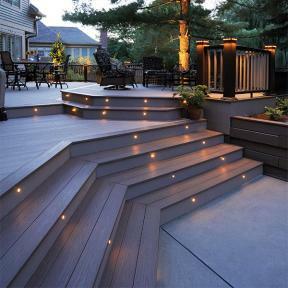 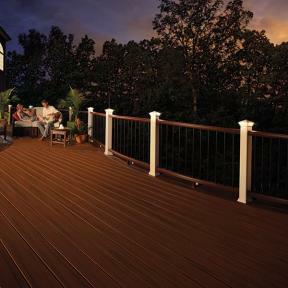 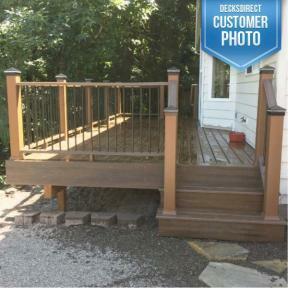 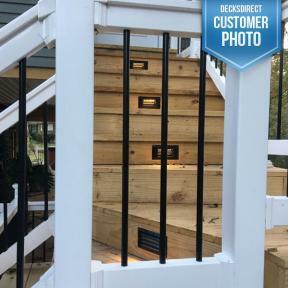 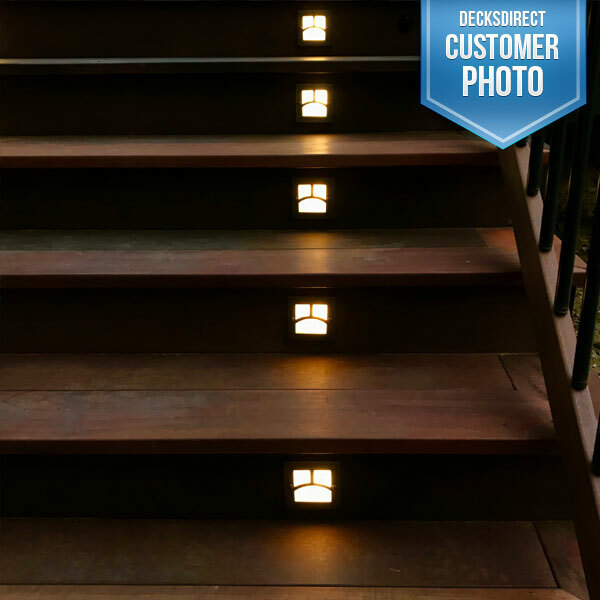 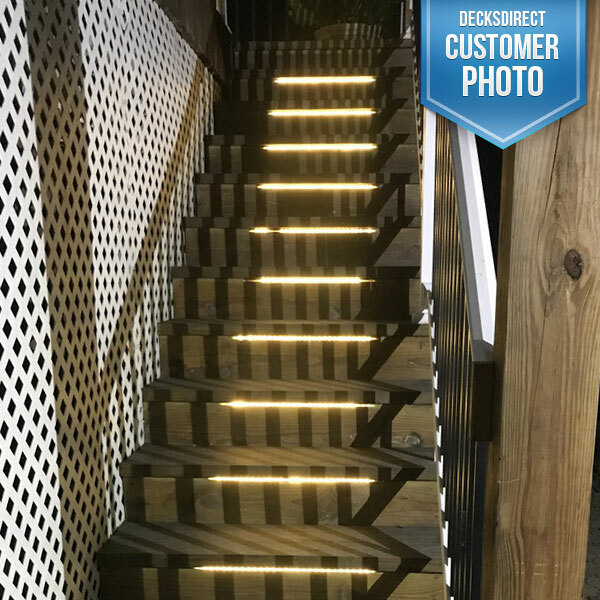 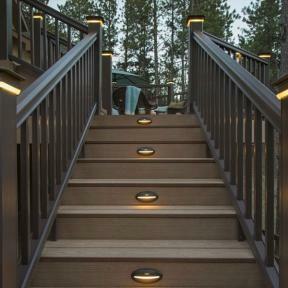 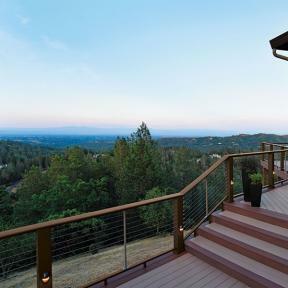 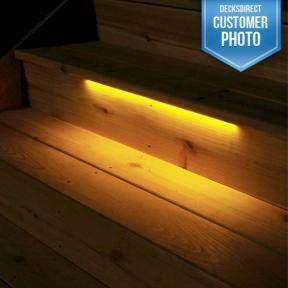 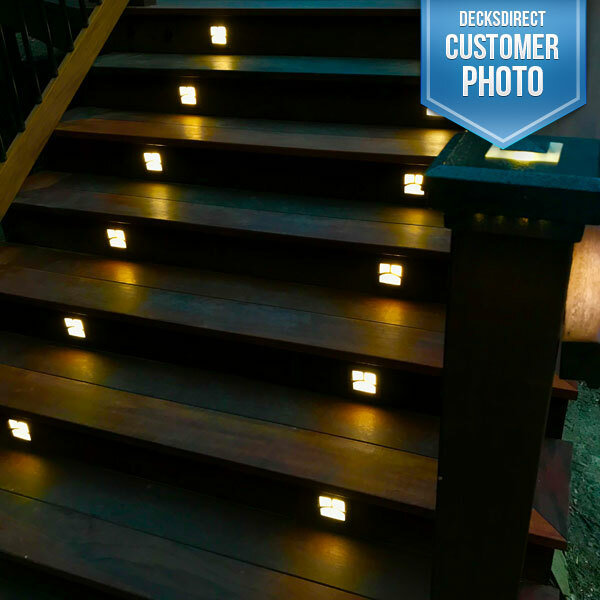 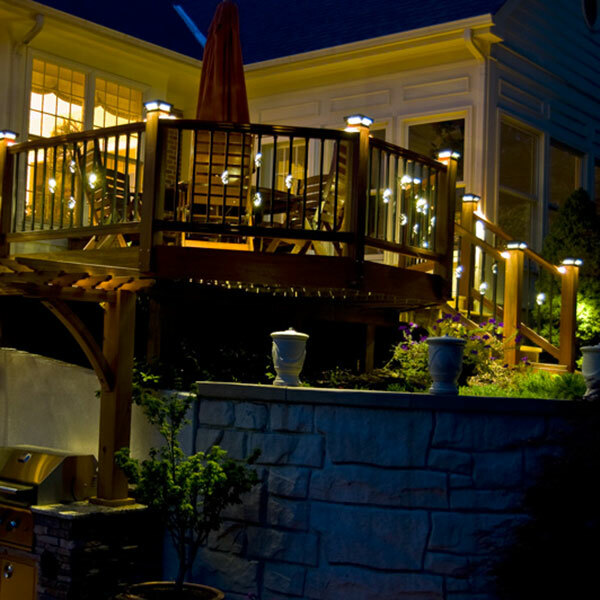 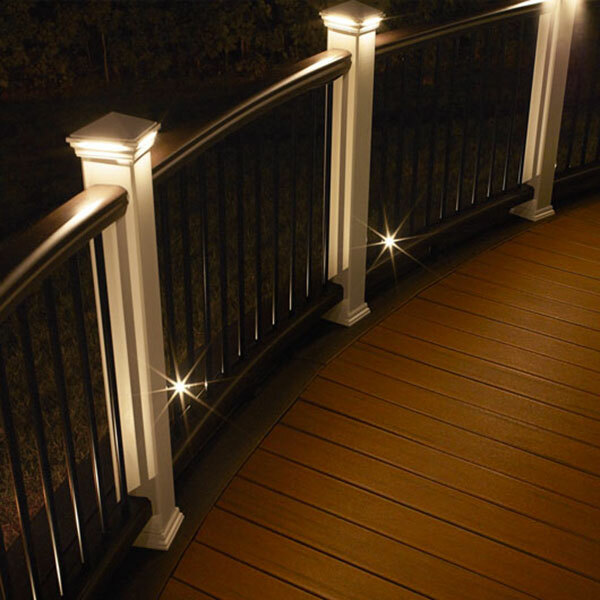 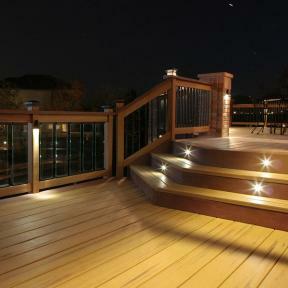 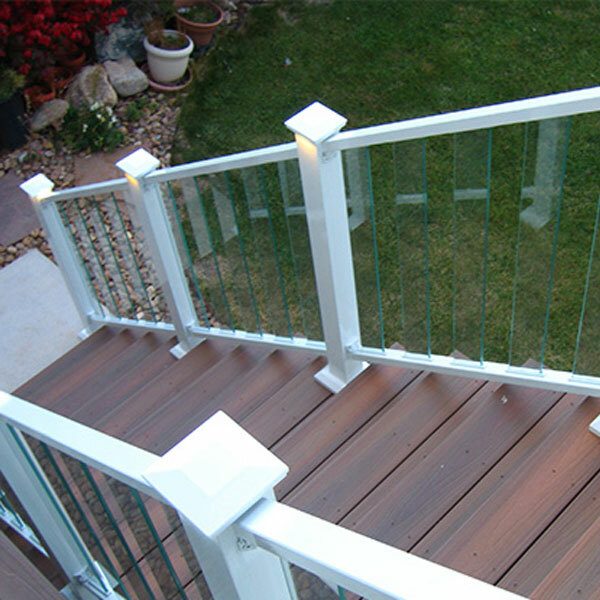 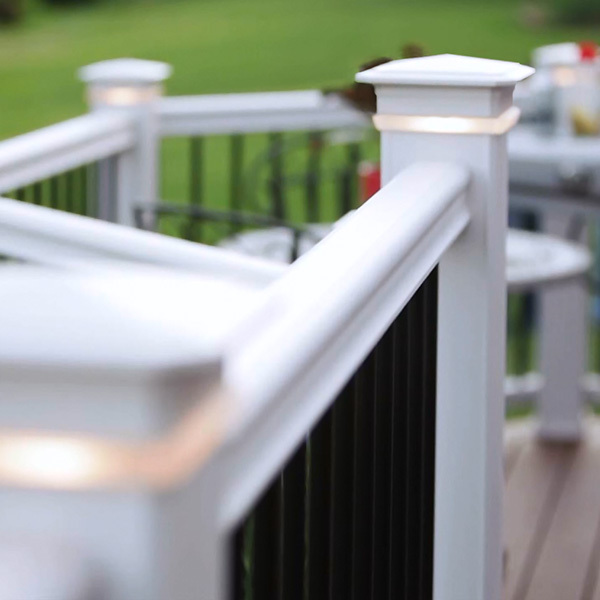 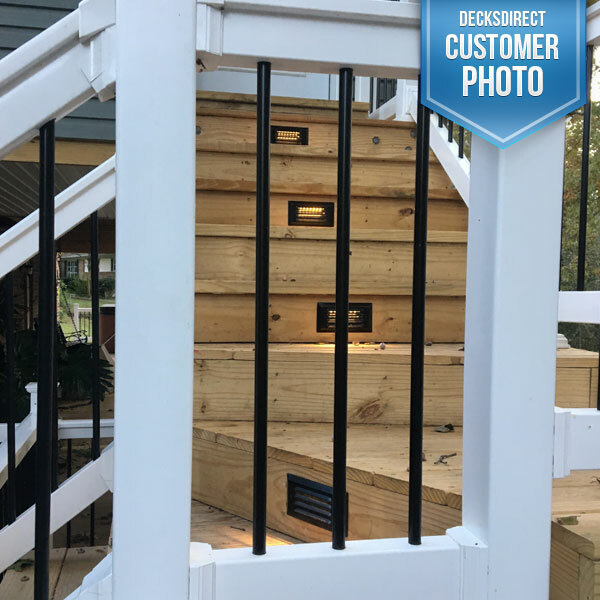 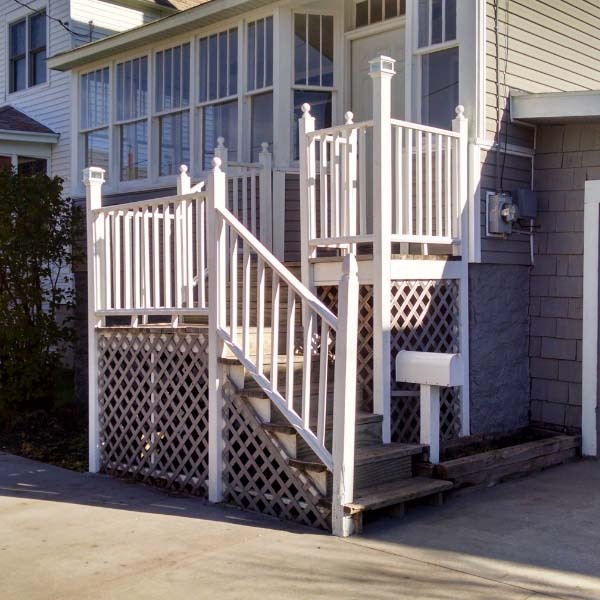 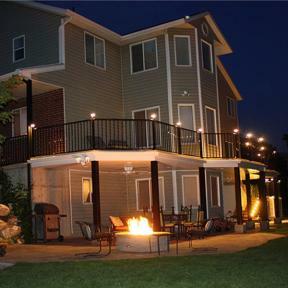 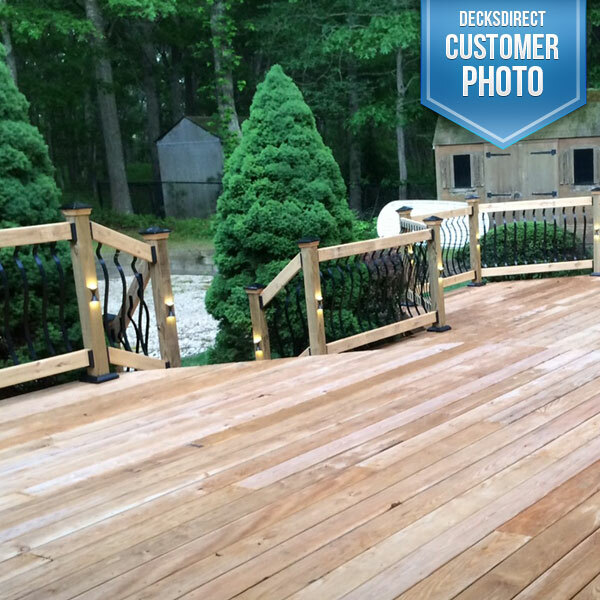 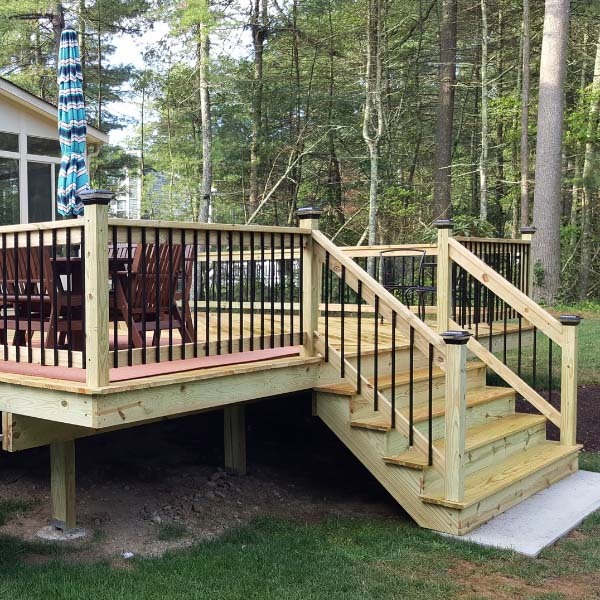 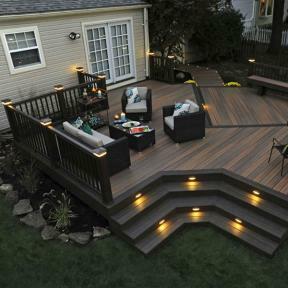 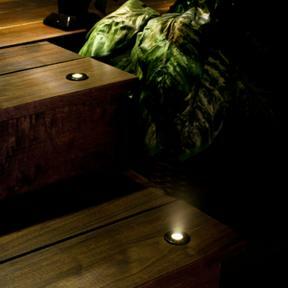 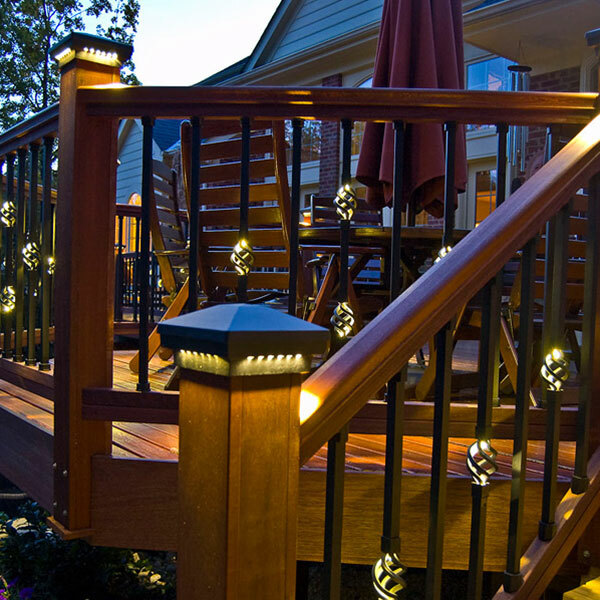 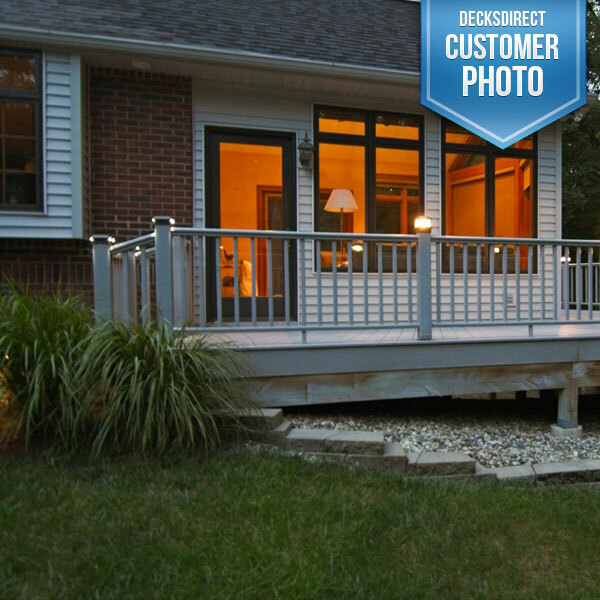 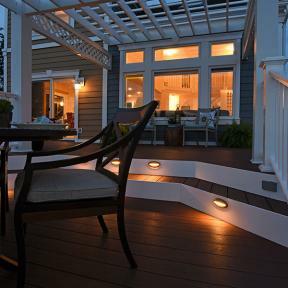 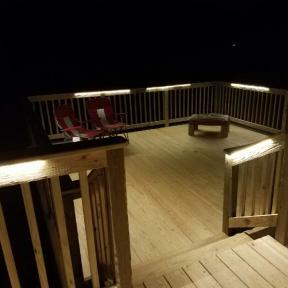 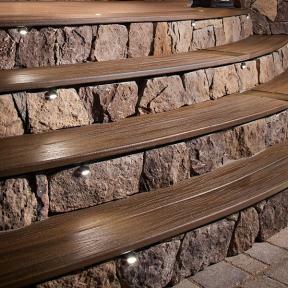 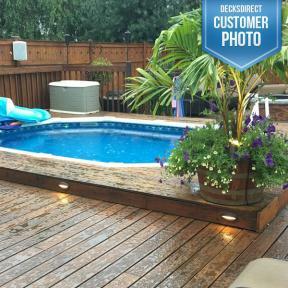 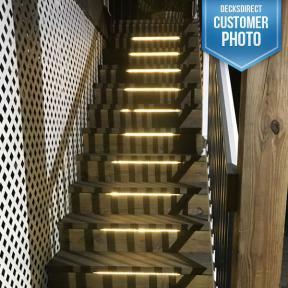 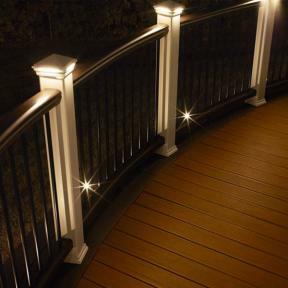 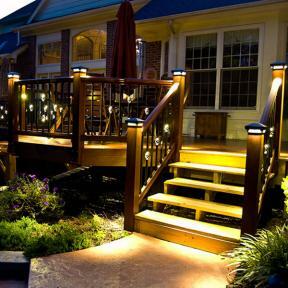 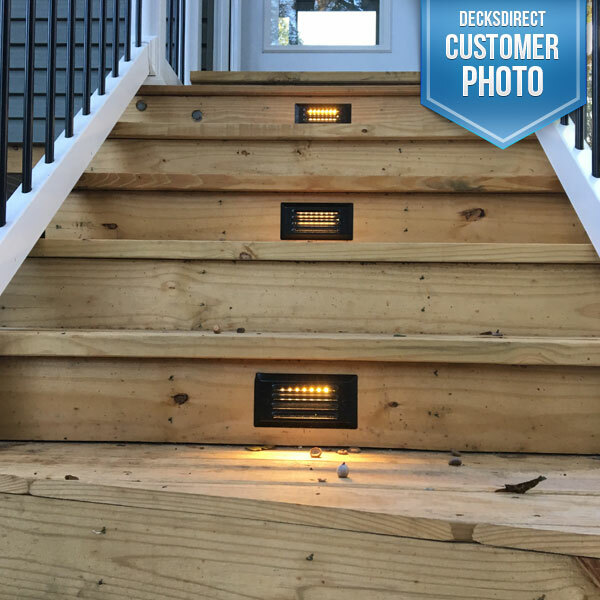 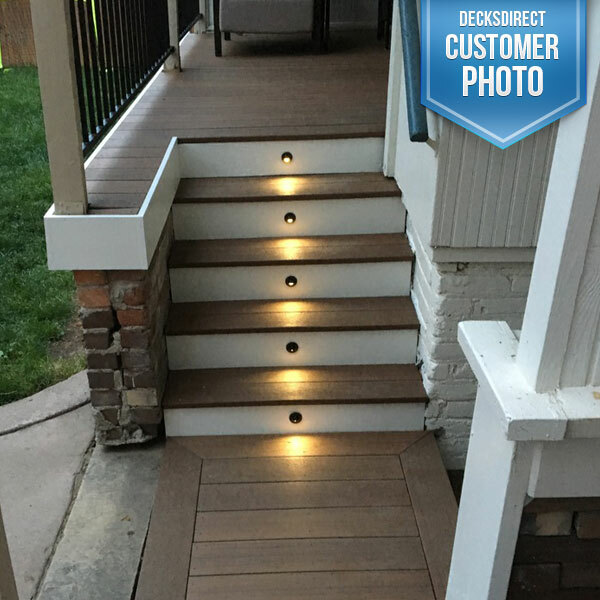 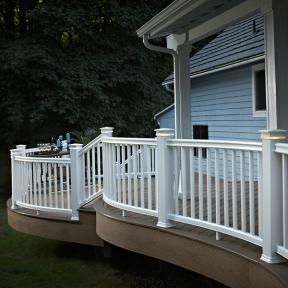 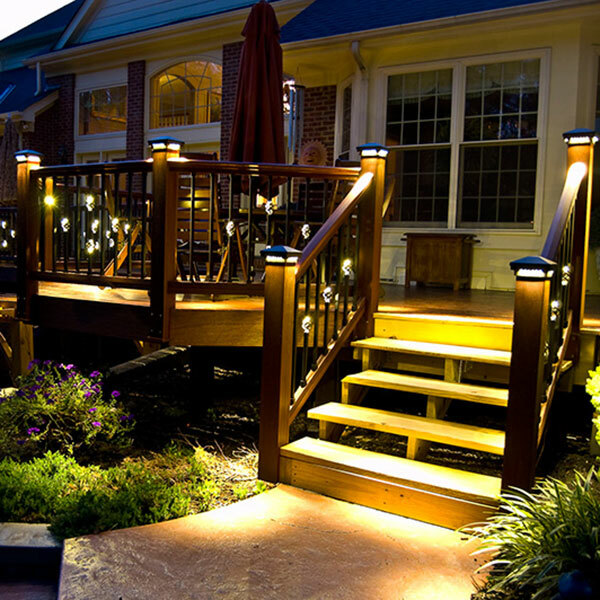 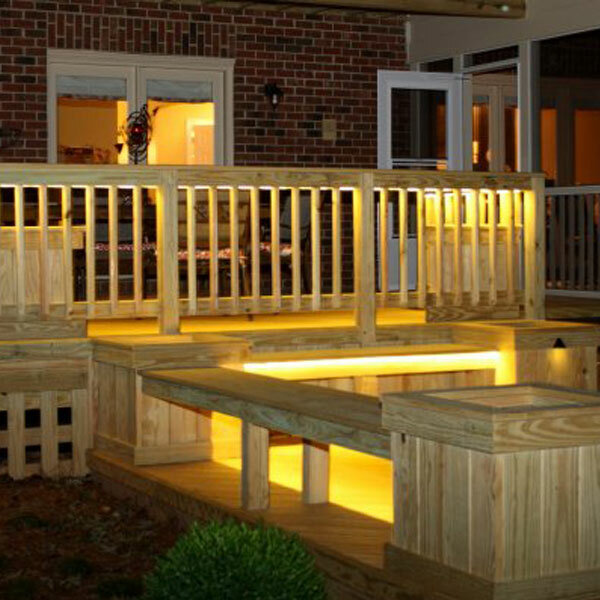 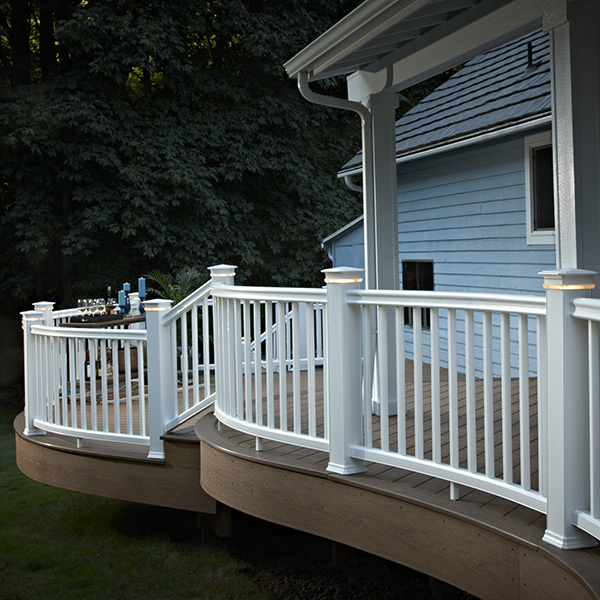 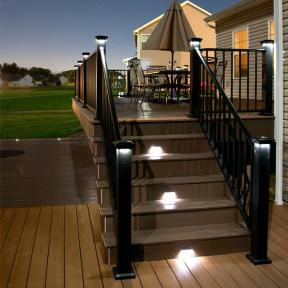 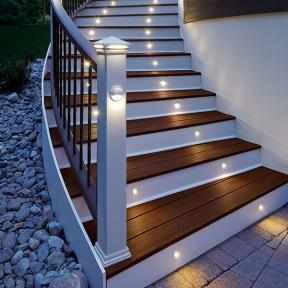 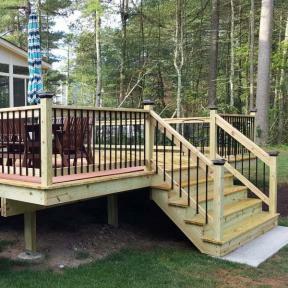 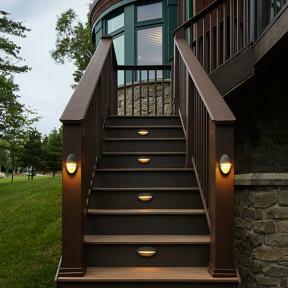 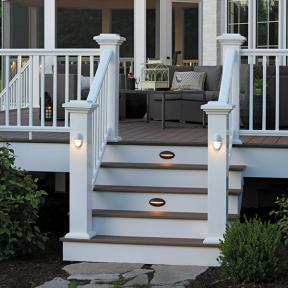 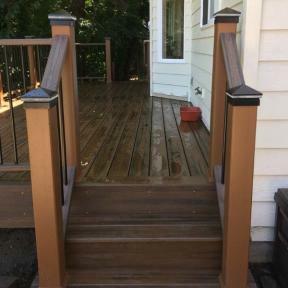 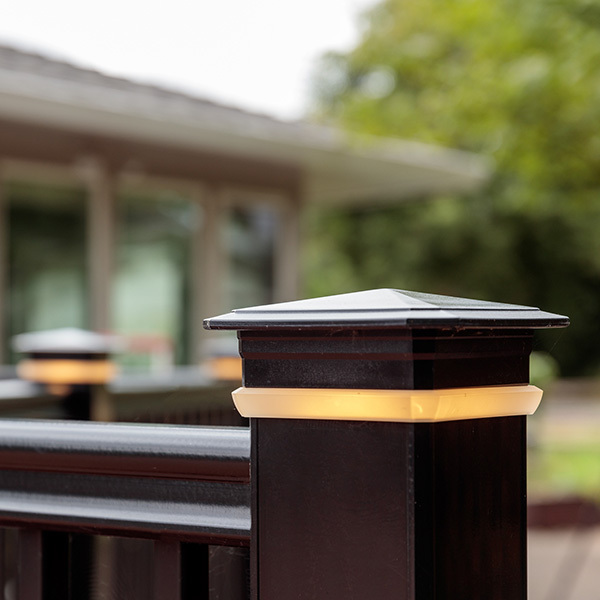 Deck lighting is a great way to accent your space and ensure safety around stairs on your deck. 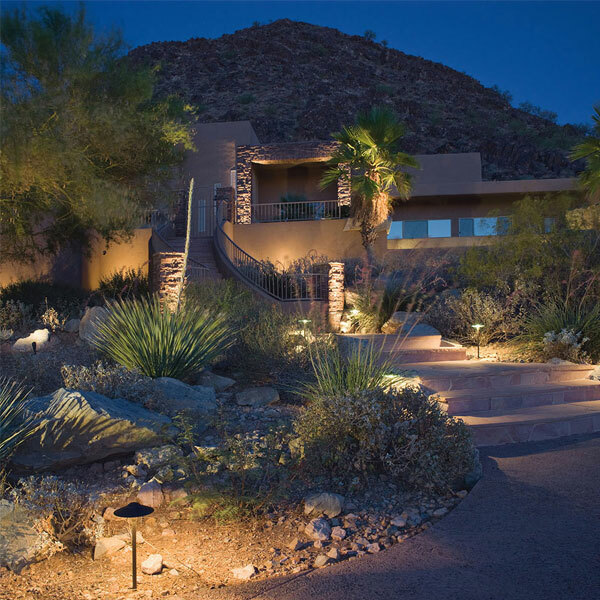 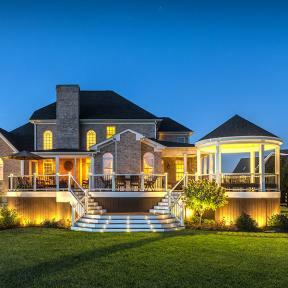 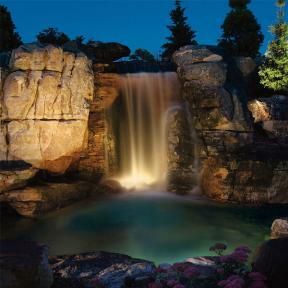 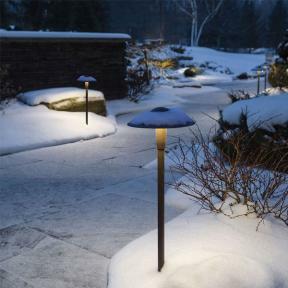 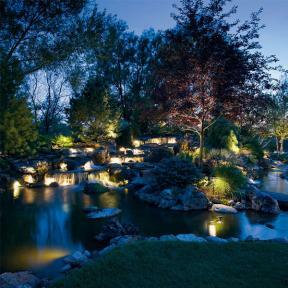 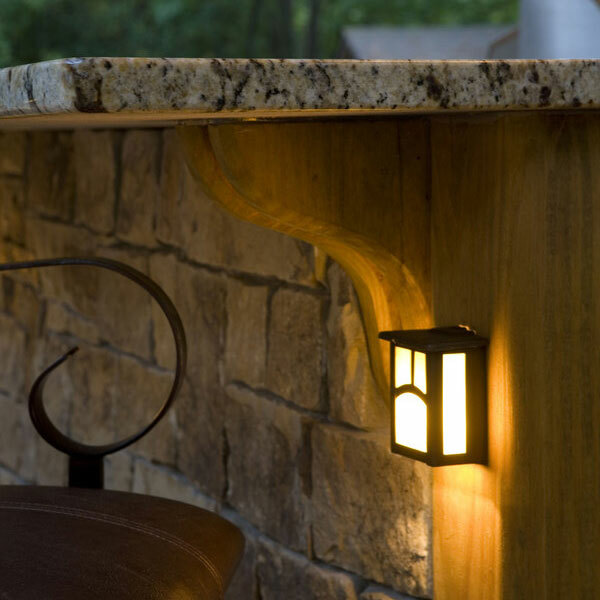 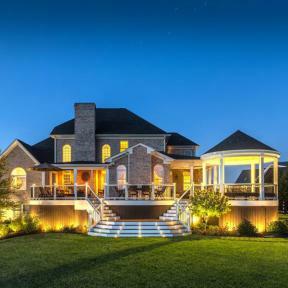 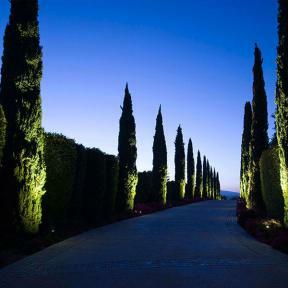 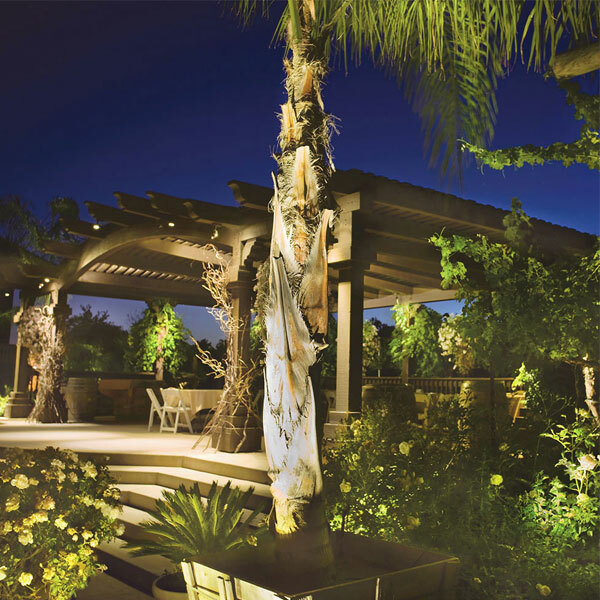 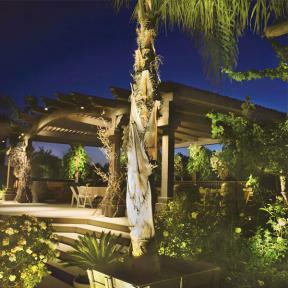 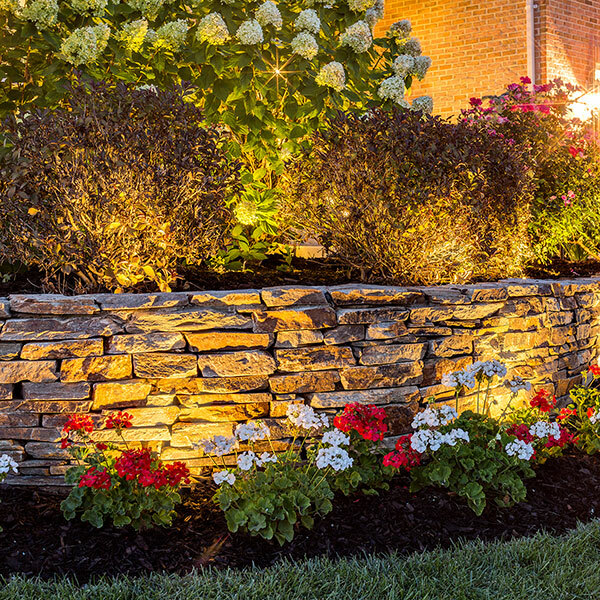 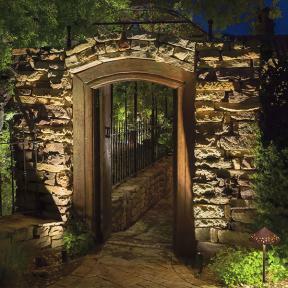 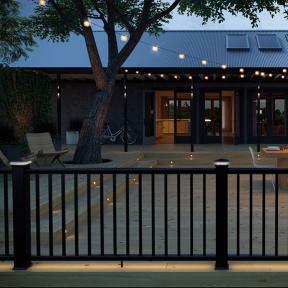 We offer a variety of lighting options from post cap and recessed lights to landscape lighting. 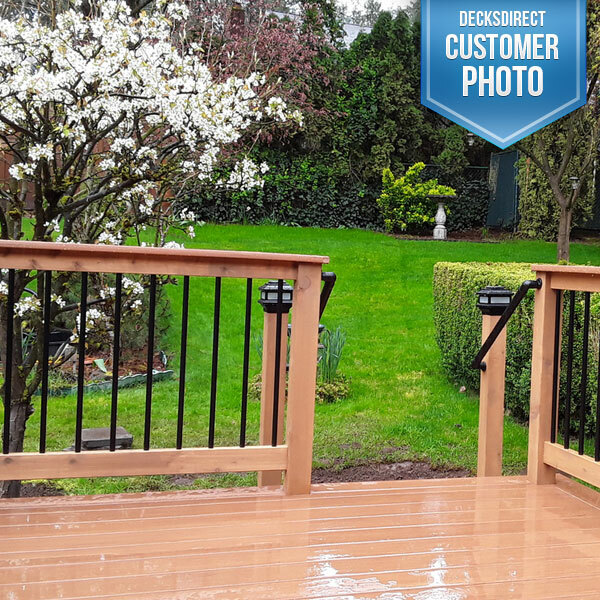 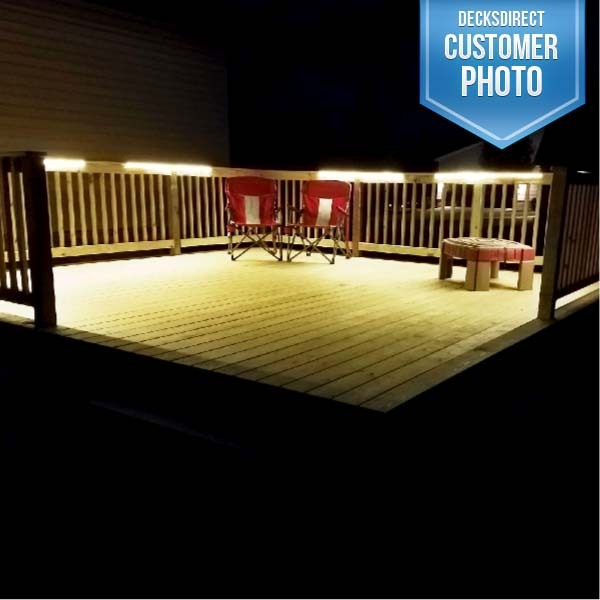 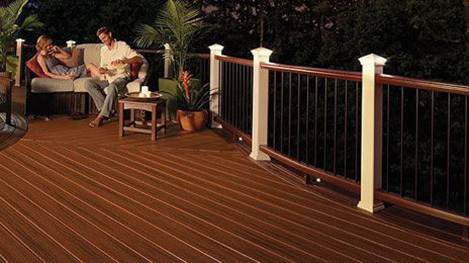 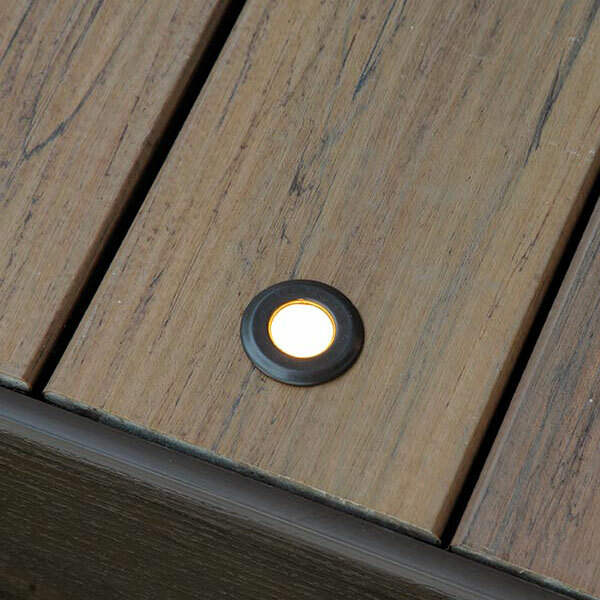 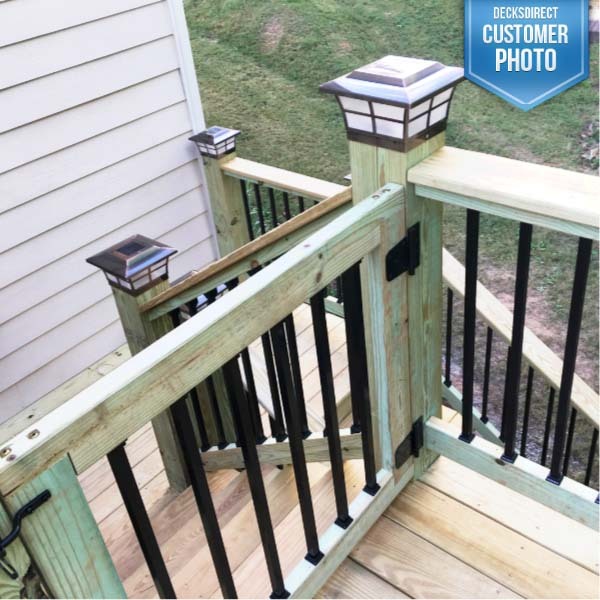 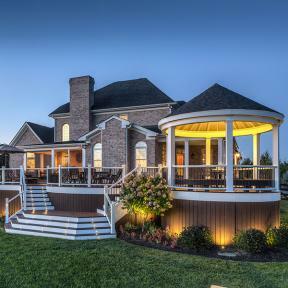 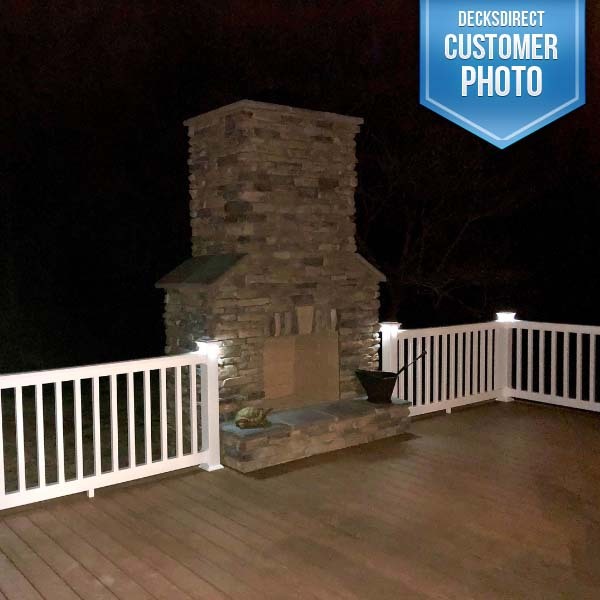 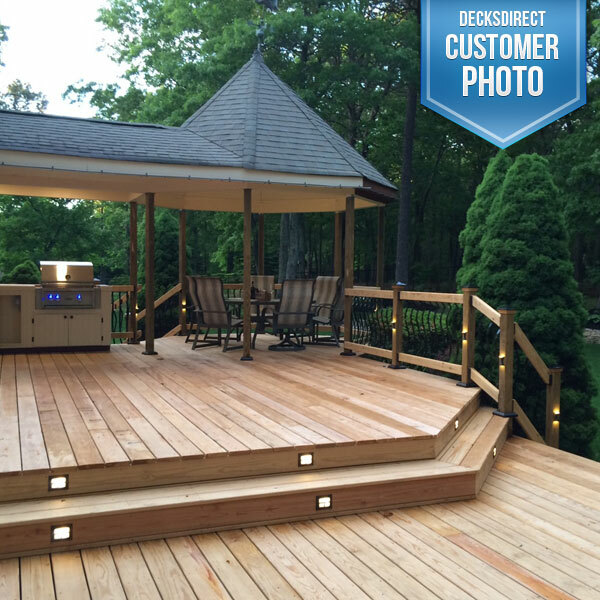 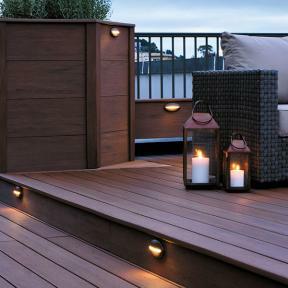 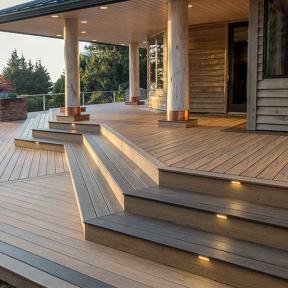 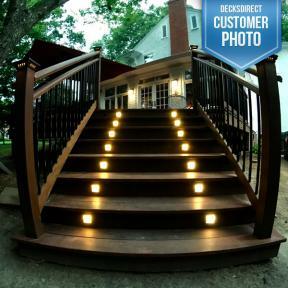 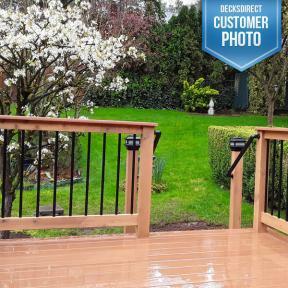 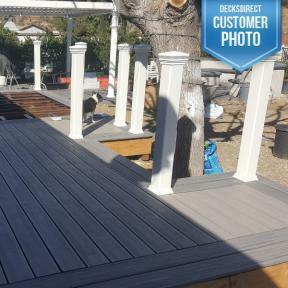 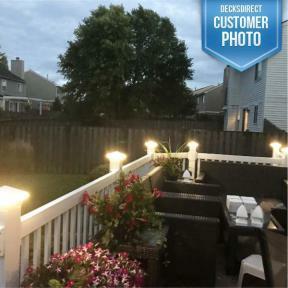 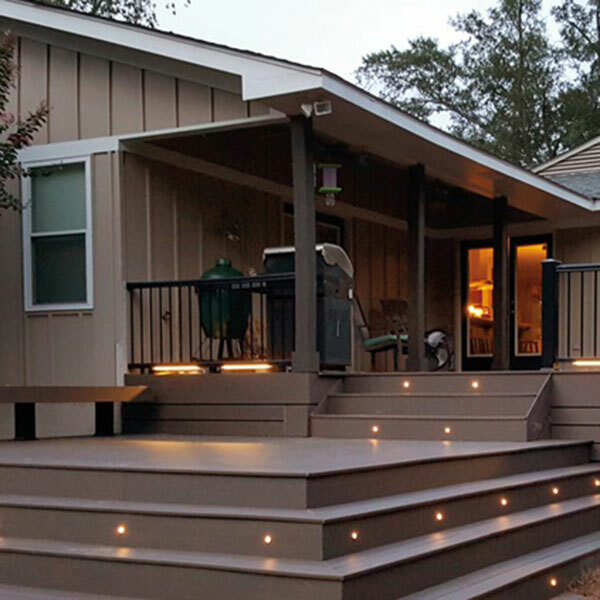 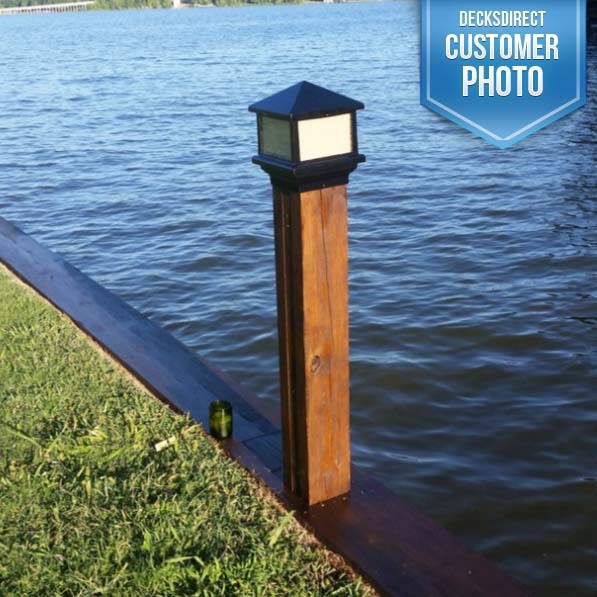 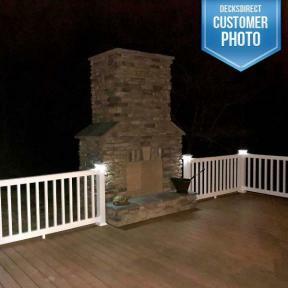 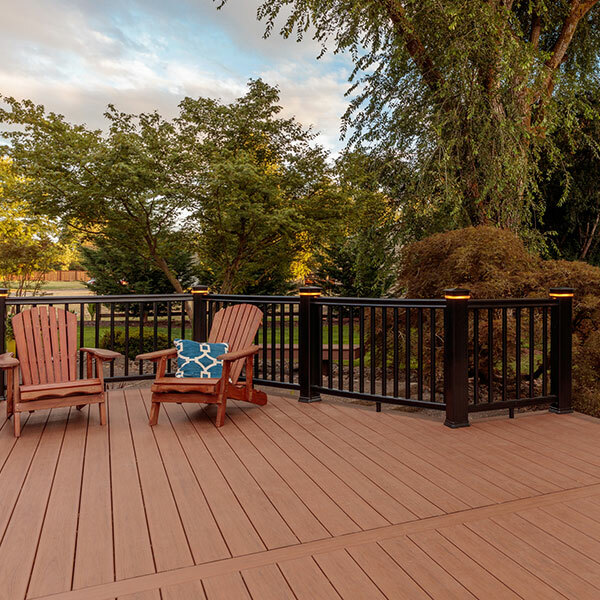 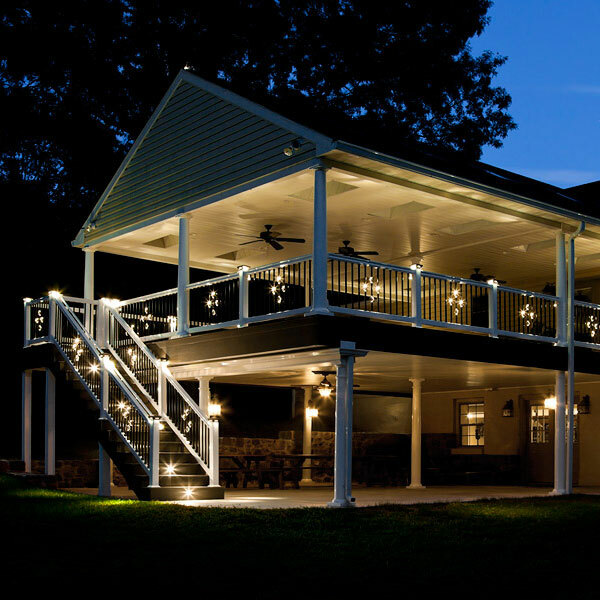 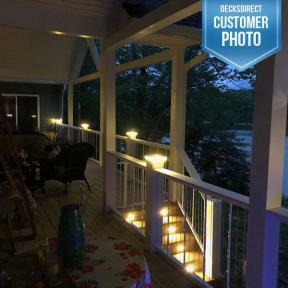 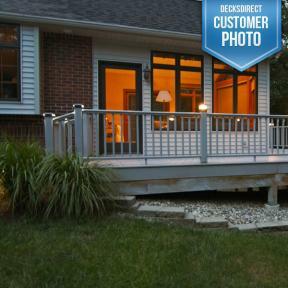 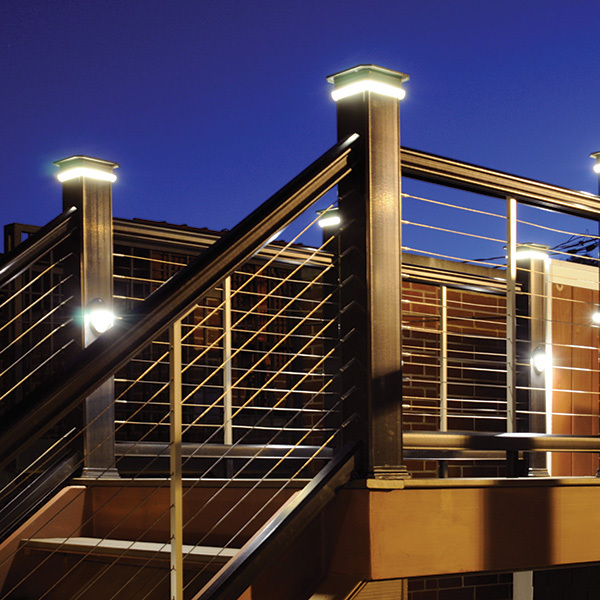 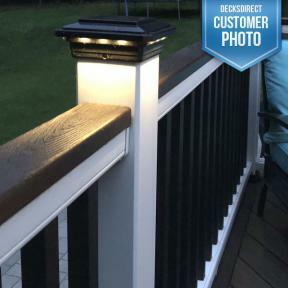 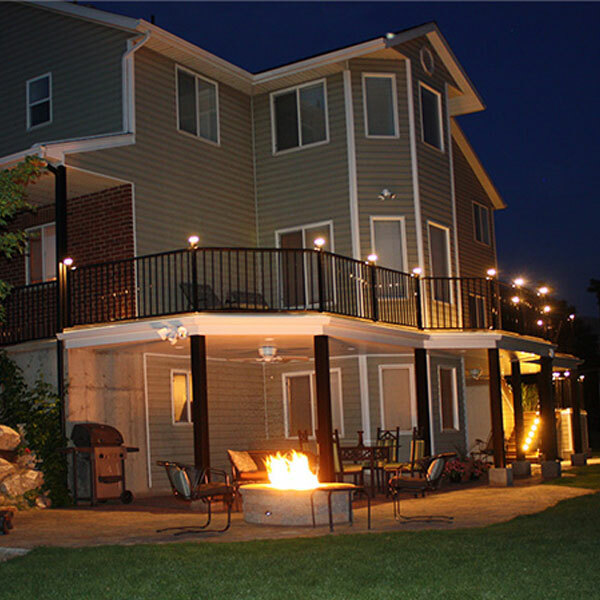 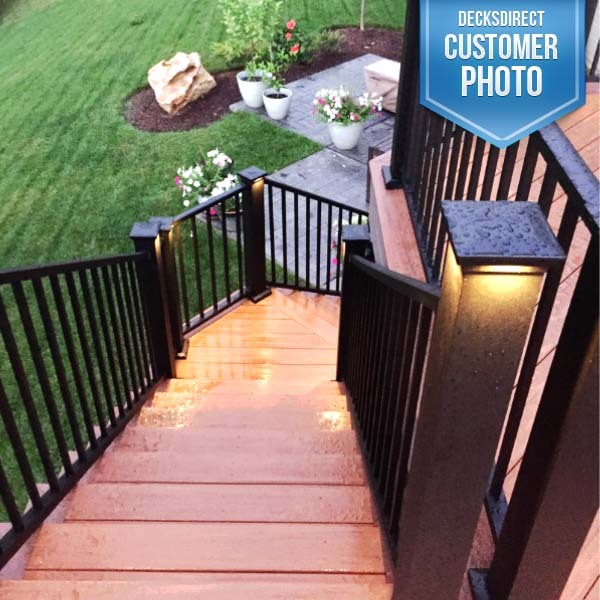 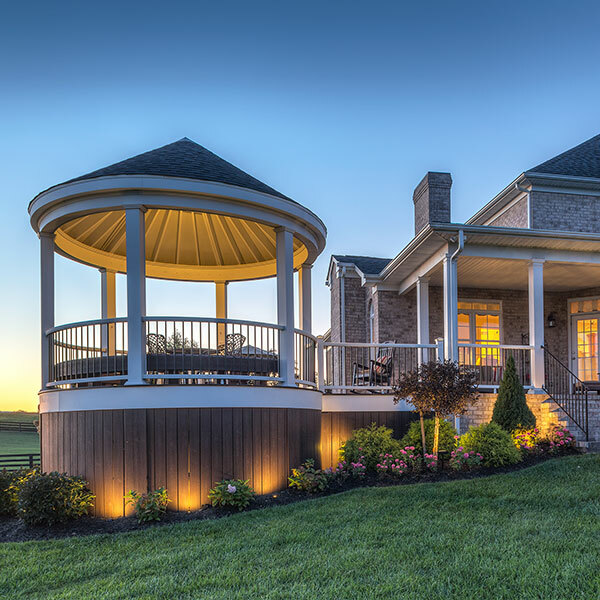 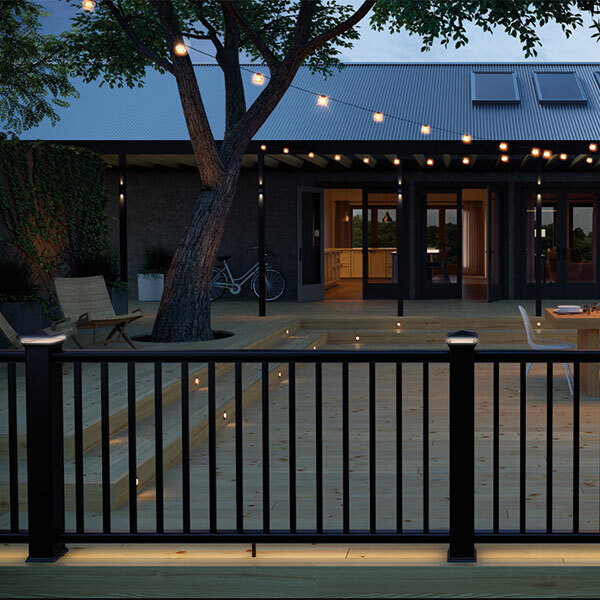 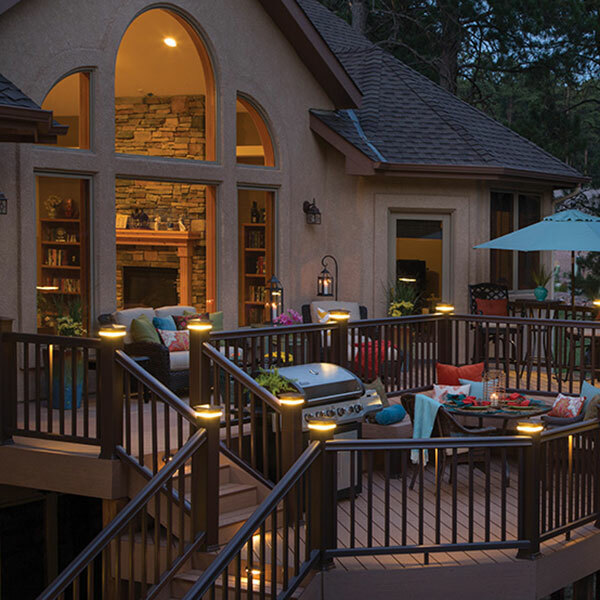 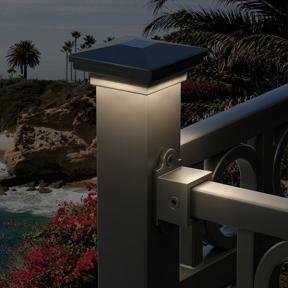 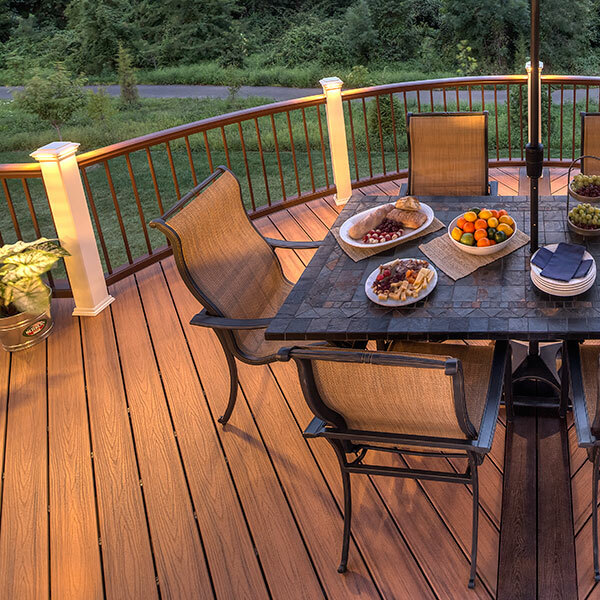 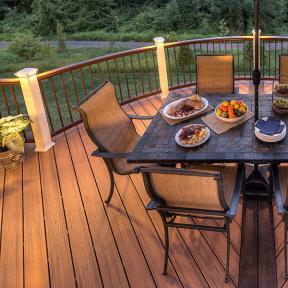 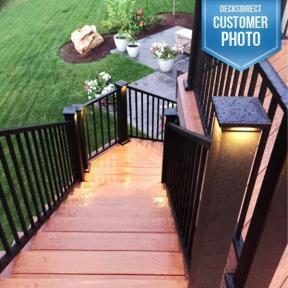 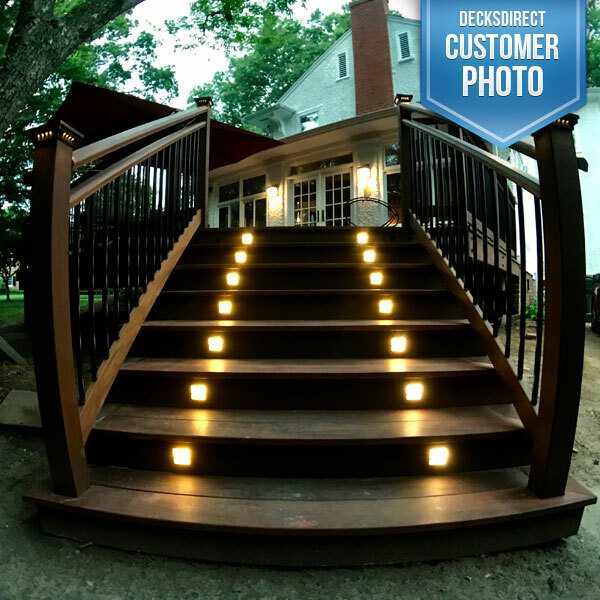 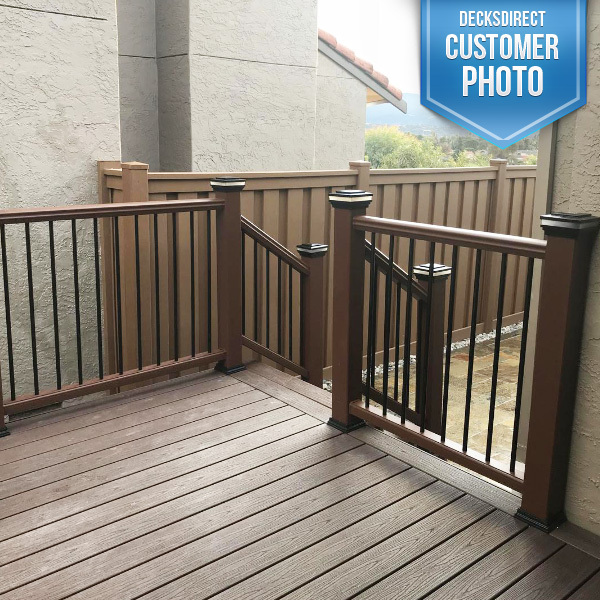 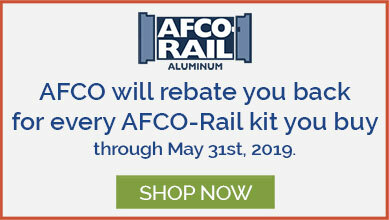 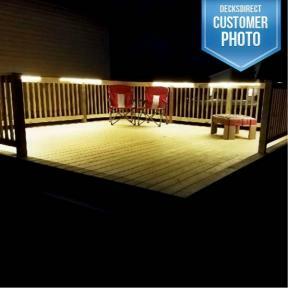 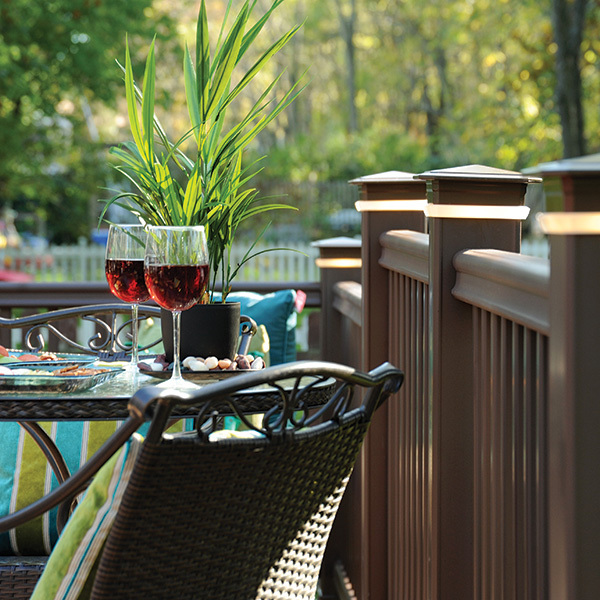 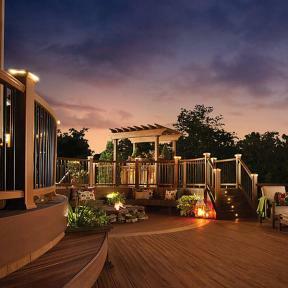 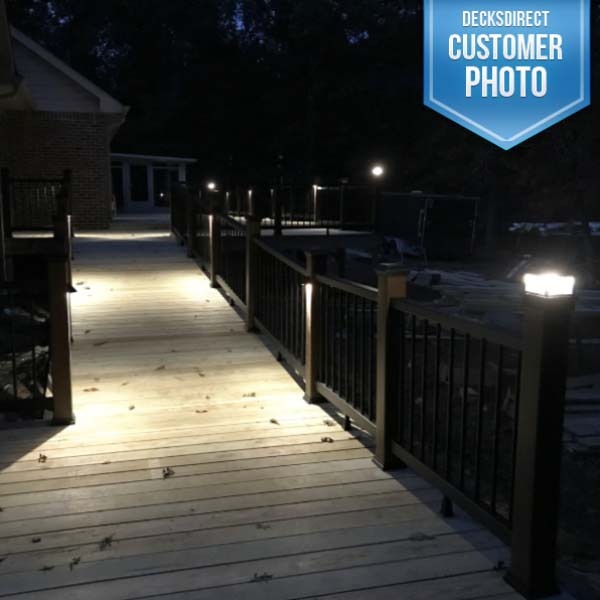 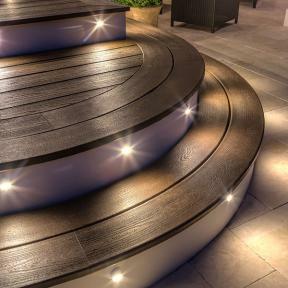 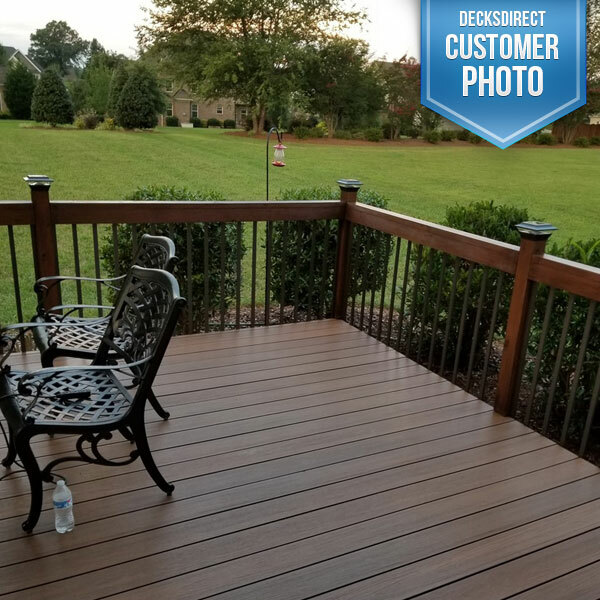 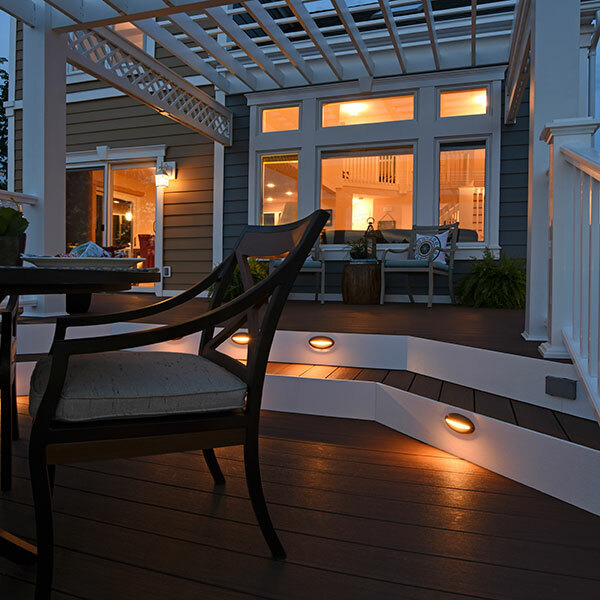 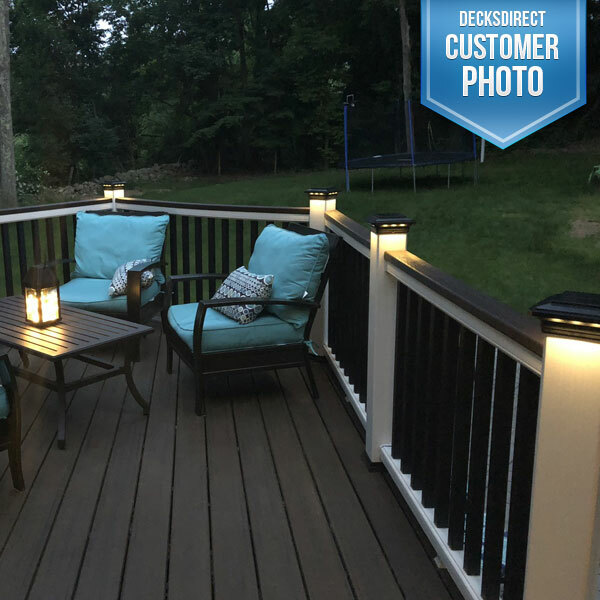 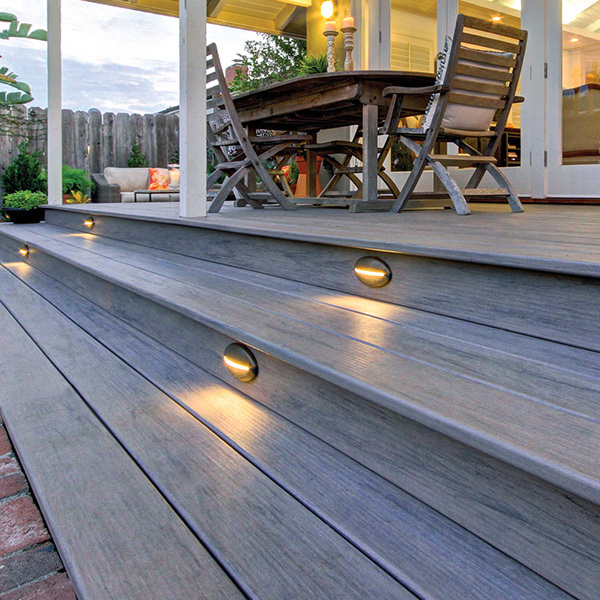 Get inspiration for your deck project by browsing our deck lighting photos for product ideas and product styles across all budgets. 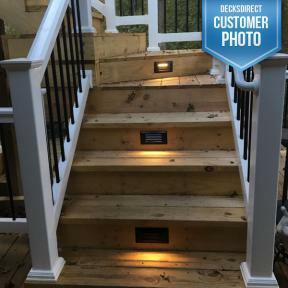 Trex LED Flat Post Cap Lights and Trex Recessed Riser LED Lights. 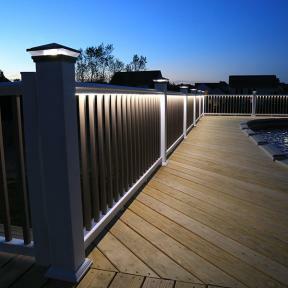 TimberTech DeckLites LED Post Light Modules and TimberTech LED Riser Lights. 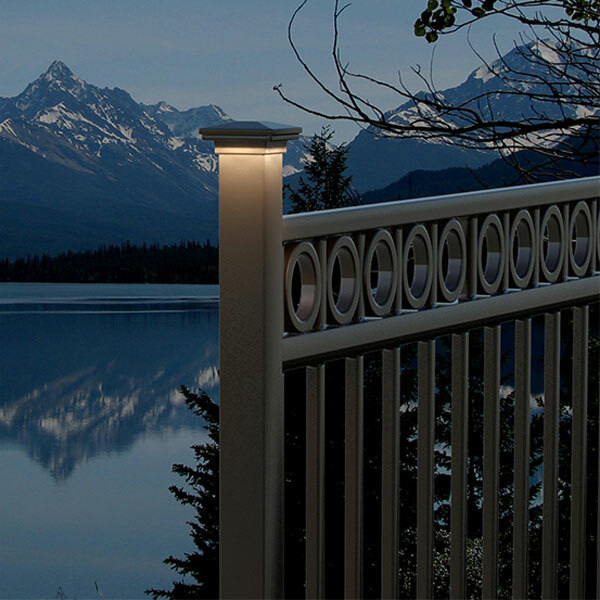 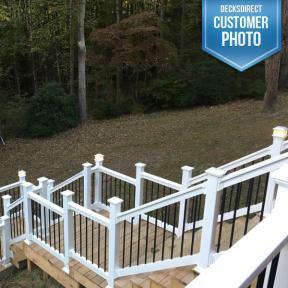 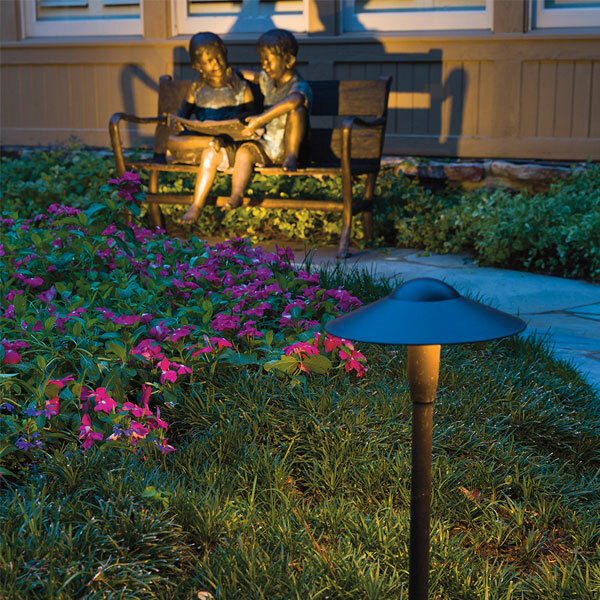 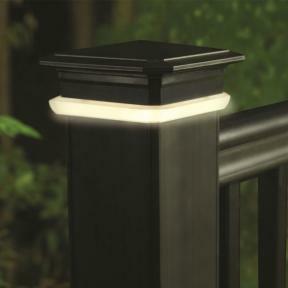 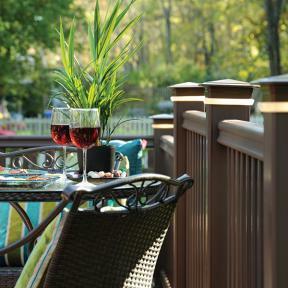 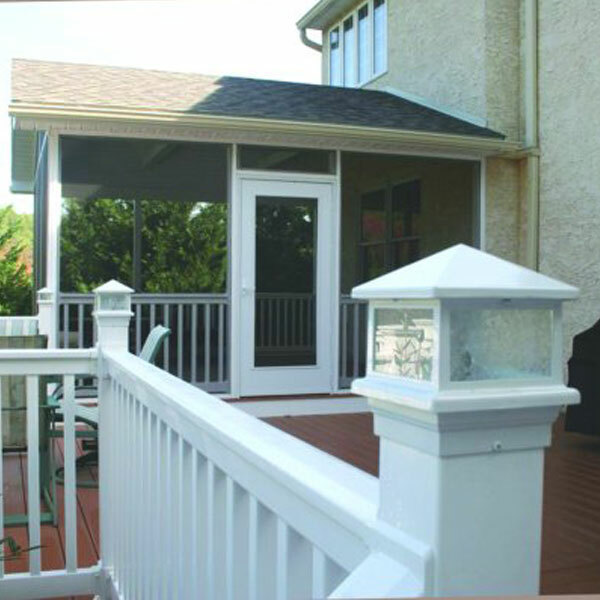 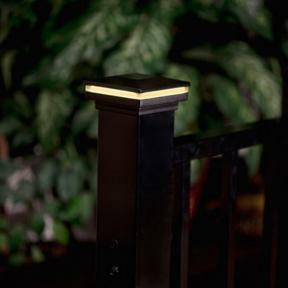 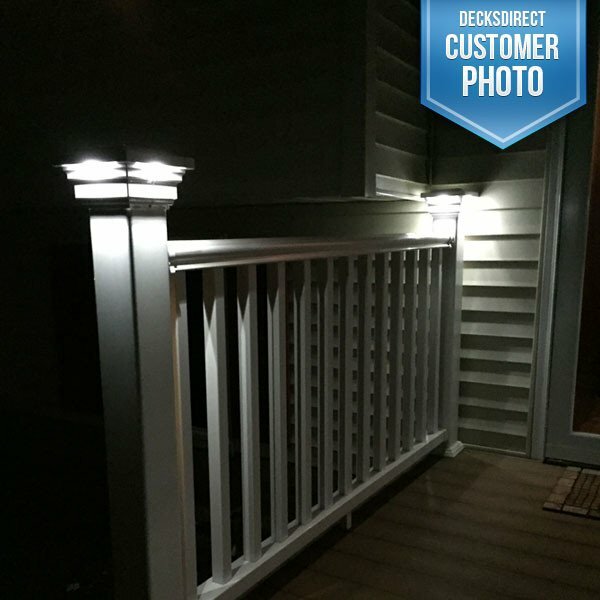 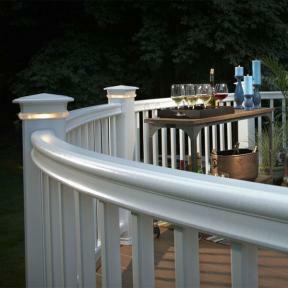 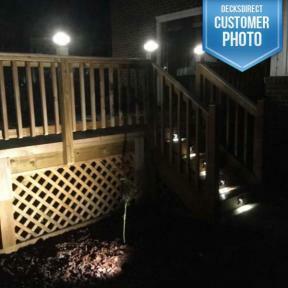 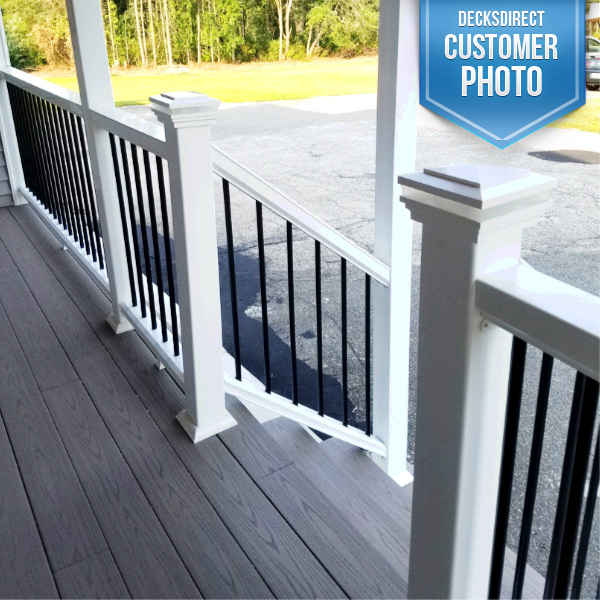 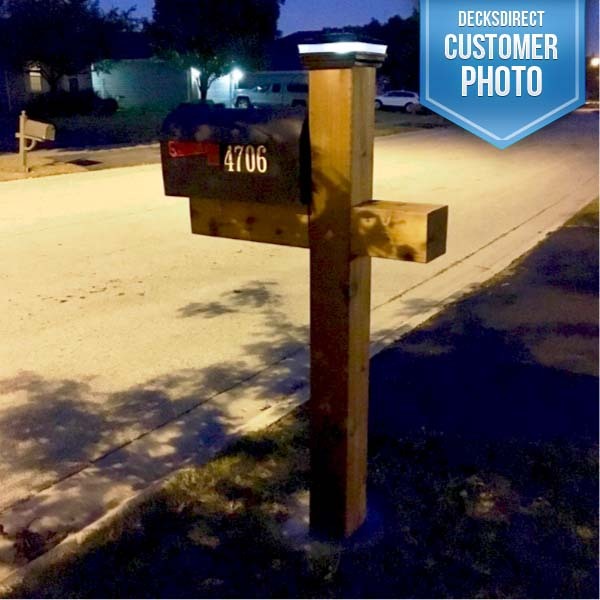 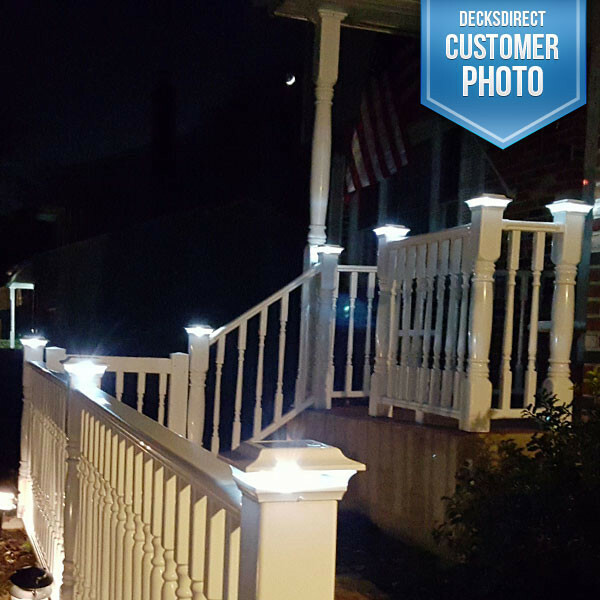 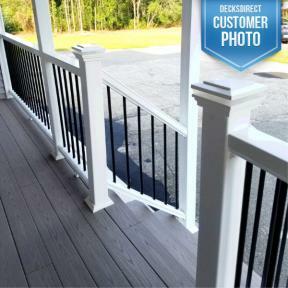 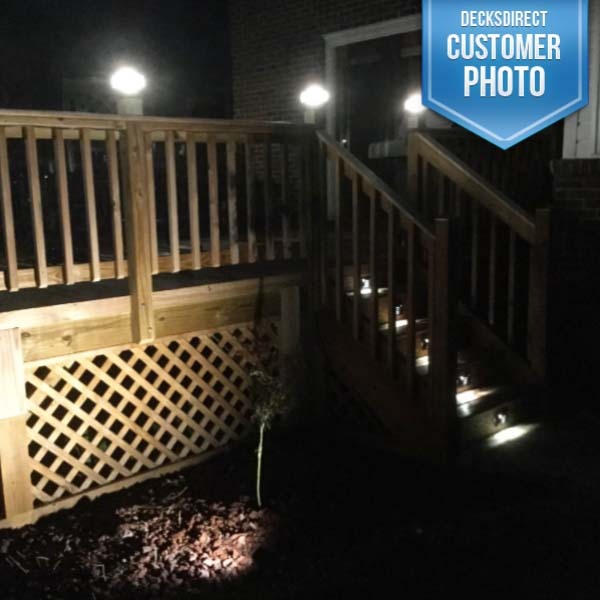 D-R Premium Cast LED Post Cap Lights and Traditions Round Illuminations Basket Balusters. 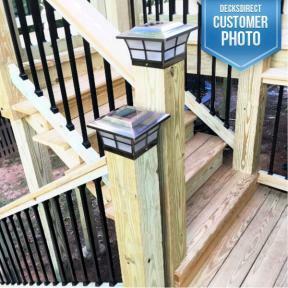 Traditions Round Illuminations Basket Balusters. 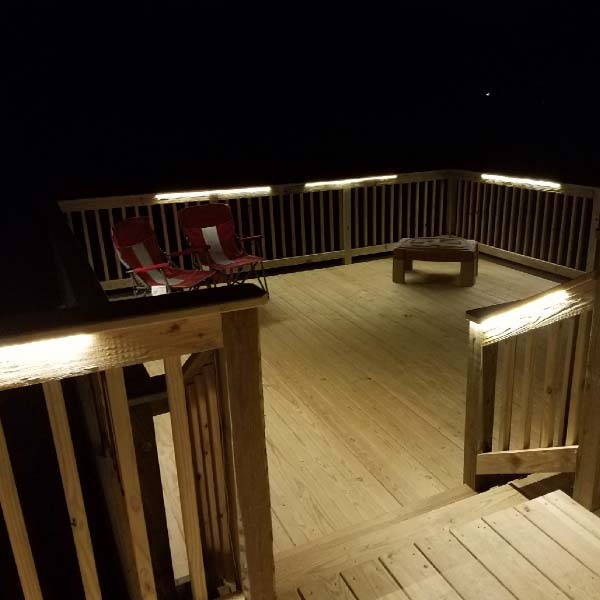 Aurora Odyssey LED Strip Light. Prestige Solar Post Cap Lights by Classy Caps. 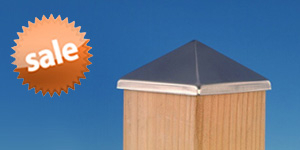 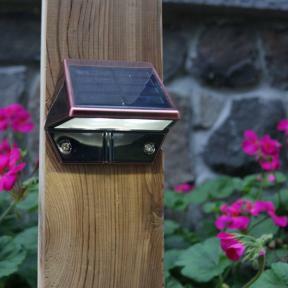 Imperial Solar Post Cap Light by Classy Caps. 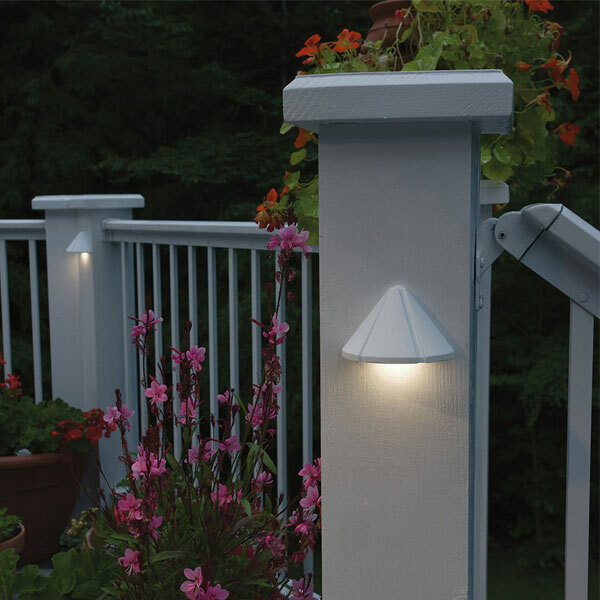 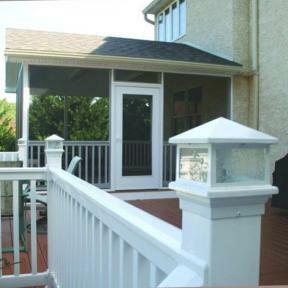 Cape May Low-Voltage LED Post Cap Light by LMT Mercer. 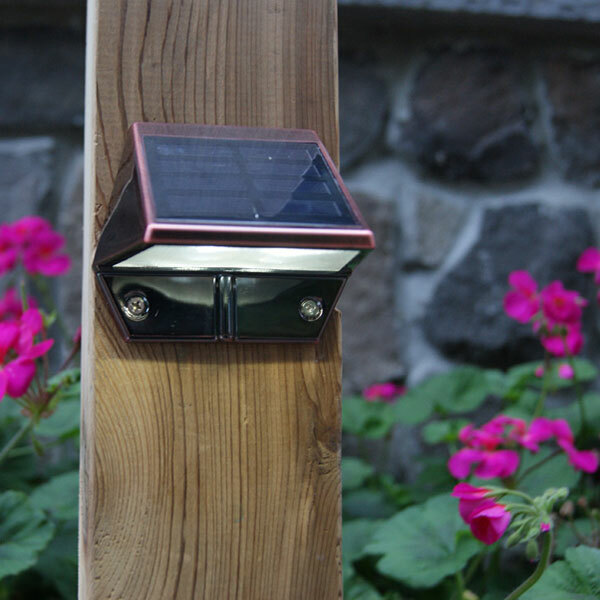 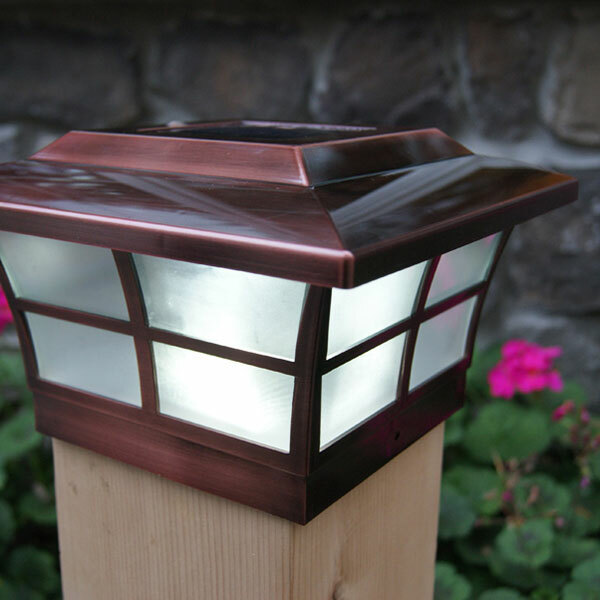 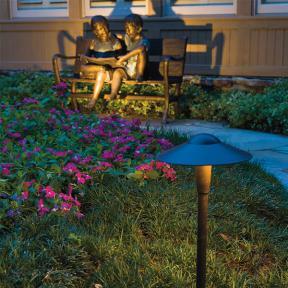 Cape May Solar LED Post Cap Light by LMT Mercer. 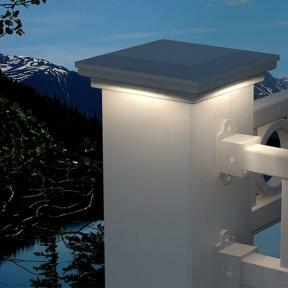 Neptune LED Post Cap Light by LMT Mercer.